Bill Moyers first became known to the public as President Lyndon Johnson's press secretary, a thankless job for even the most ardent liberal, and Moyers is high atop that list. Moyers has kept plenty busy ever since, providing political commentary at PBS, CBS, NBC, etc., and from his own media outfit, Moyers & Company. Flash forward to 2015 and Moyers is again providing useful cover for a left-wing president. White liberals often arrogantly see themselves as more qualified to know how blacks should behave politically than blacks who are conservative. Bill Moyers is one such white liberal—a white liberal who has become wealthy by leveraging taxpayer-subsidized public television. 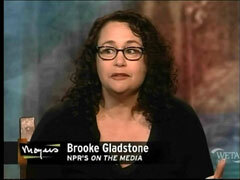 Un-Retired Again: Is Bill Moyers The Brett Favre of PBS? Elizabeth Jensen at the New York Times reports "Bill Moyers says he is returning to public television in January, but he won’t be found on the PBS lineup." This is a distinction without much difference -- if, as expected, most PBS stations snap it up. By "un-retiring" again, Moyers is beginning to look like the Brett Favre of PBS. His latest retirement from the latest installment of "Bill Moyers Journal" was in 2010. 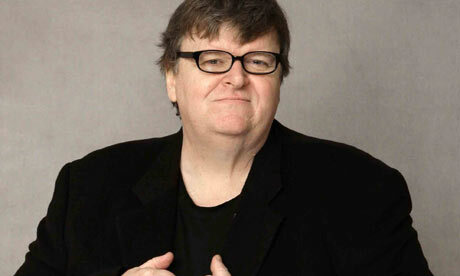 He also retired in 2004 after PBS president Pat Mitchell insisted he had to return to liberal PBS after 9/11. On Friday night’s Bill Moyers Journal on PBS, Moyers ran anti-Obama clips from conservative talk show hosts and marveled that anyone would believe them, when they were responsible for what he called the "Decade of Conservative Failure." Moyers’ guest, leftist Wall Street Journal columnist Thomas Frank, cracked wise: "That is America for you. That is the demented logic of our politics." Who needs to make health care Barack Obama's Waterloo, as Sen. Jim DeMint, R-S.C. suggested? Why not make it the president's Alamo? That's the advice PBS host Bill Moyers had for President Barack Obama in an appearance on HBO's August 28 "Real Time with Bill Maher." According to the former press secretary for President Lyndon B. Johnson, a defeat on health care/health insurance reform would do the left more good than crafting some sort of compromise. "I mean, I would rather see Barack Obama go down fighting for vigorous, strong principled public insurance, than to lose with a bill - look, BusinessWeek had a cover story last week, ‘The Insurers are Winning,'" Moyers said. Struggling to sell a "public option" of socialized medicine on America, the left needs demons. So here comes, right on time, the focus on all the "lies" that free-market "front groups" are pushing on the failures of nationalized health care in countries like Canada and Great Britain. In addition to disparaging Brian Williams for offering a "candygram" to Barack Obama in prime time, PBS omnipresence Bill Moyers organized another one-sided left-wing discussion on the alleged conservative bias of the news media last Friday, picking up on Washington Post columnist E.J. Dionne’s complaint that the media are giving too much time and weight to Rush Limbaugh and Newt Gingrich on the Sotomayor nomination. 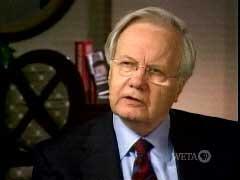 On Friday night, PBS star Bill Moyers took up the question of the media’s coverage of President Obama. It was not a liberal vs. conservative debate. 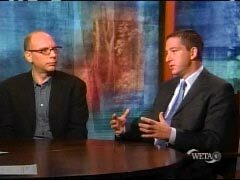 His panel was two left-wing bloggers: Glenn Greenwald of Salon and Jay Rosen of PressThink. Unsurprisingly, they felt the media weren’t "progressive" enough. But Greenwald went far beyond that, making claims that "establishment media venues" forged a political "partnership" with the Republican Party and "the right wing" during the Lewinsky affair that continued and "translated into the media being blindly supportive and reverent of the Bush administration." He also claimed – against all evidence – that massive demonstrations against the Iraq war in 2003 were almost ignored: "the media virtually excluded those demonstrations from the narrative." MOYERS: The Rasmussen Poll this week shows an eight point drop in support for the stimulus plan, what do you make of that? GREENWALD: You know, I think if you go back to the 1990s, what you saw is essentially a partnership between the Republican Party, the right wing, and establishment media venues. And this partnership was formed when they were essentially engaged in their lynch mob over the Lewinsky affair.